My mercy is so great that no mind, be it of man or of angel, will be ale to fathom it throughout all eternity. We already know about God's mercy, right? Why, then, a feast? Our Lord wants us to trust Him - to believe in His love and goodness. To help us embrace His Mercy and Love, He gave specific instructions for the faithful to follow on this day - a day of abundant graces! A partial indulgence, granted to the faithful who, at least with a contrite heart, pray to the merciful Lord Jesus a legitimately approved invocation." 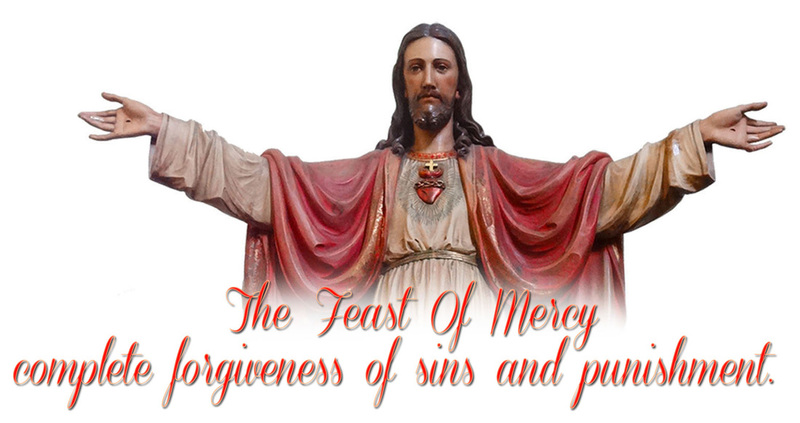 Read the Apostolic Decree regarding Divine Mercy and the indulgences granted for this feast!